When you think of summer treats, what’s the first thing that comes to your mind? For me, it’s ICE CREAM and one of my favourite ice cream flavours has to be Strawberry Shortcake. But we don’t wanna lose that summer bod we’ve been working so hard for, right? Don’t worry about it, I’ve got a simple recipe for you. 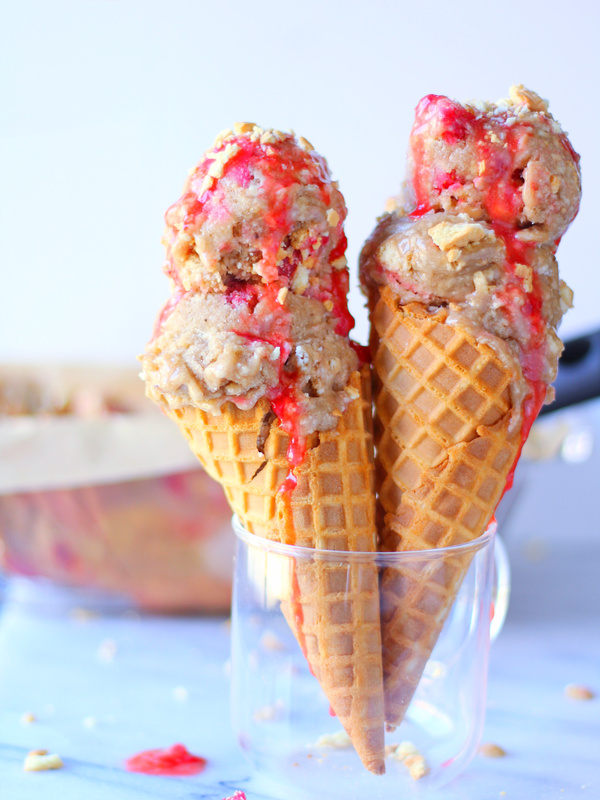 Strawberry Shortcake Nicecream! 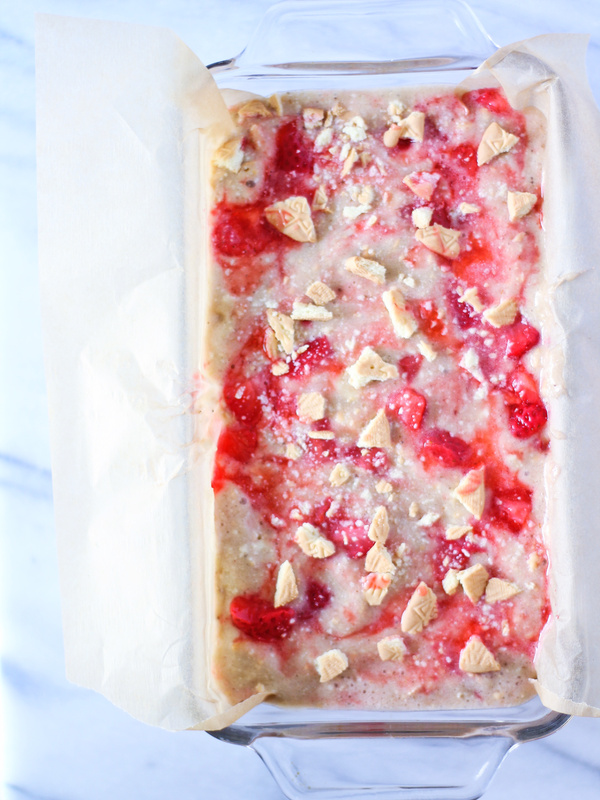 It’s vegan, refined sugar-free, healthy, and GF (Guilt-Free). Did you drool a bit? I did. And for something that looks so tasty, it’s very easy to make and requires only 4 ingredients! Smooth, creamy, and delicious! From banana’s! I told you it was magic. Now, all that’s left is to combine the rest of the ingredients into a freezer safe container. I like to use a loaf pan but you can use anything you want! 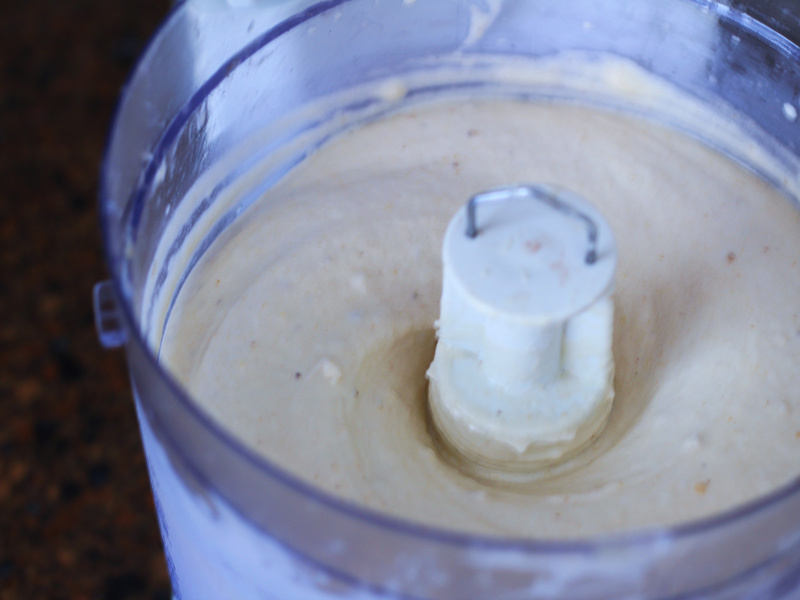 The nicecream may turn brown because of the vanilla extract, you can get around this by adding vanilla powder instead of vanilla extract. 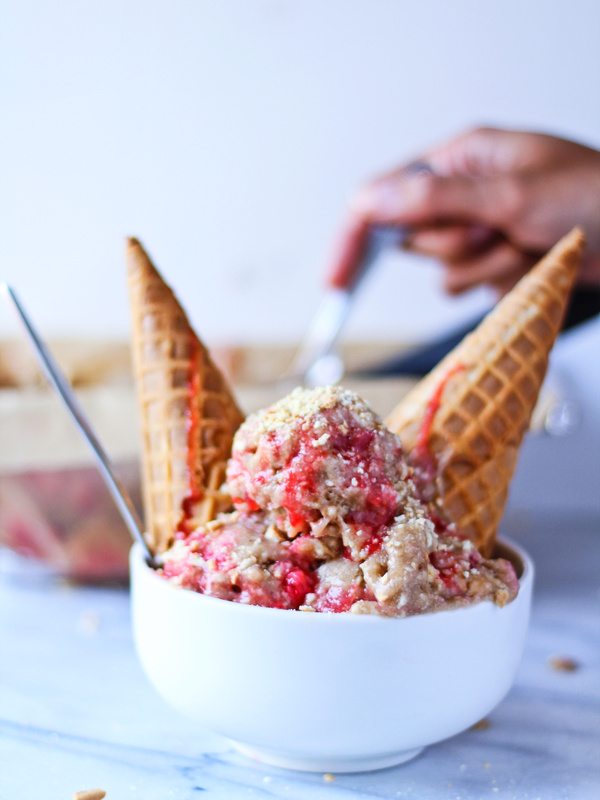 And if you want your Strawberry Shortcake Nicecream to be a little bit creamier and richer, pop a can of coconut milk in the fridge the night before, this separates the coconut water from coconut cream, and blend that coconut cream with your frozen bananas! Once the ice cream has fully set in the freezer, all you have to decide is whether to serve it in an cone or bowl. Obviously, someone couldn’t wait for the photo shoot to end… just goes to show how yummy this very healthy alternative to ice cream is. 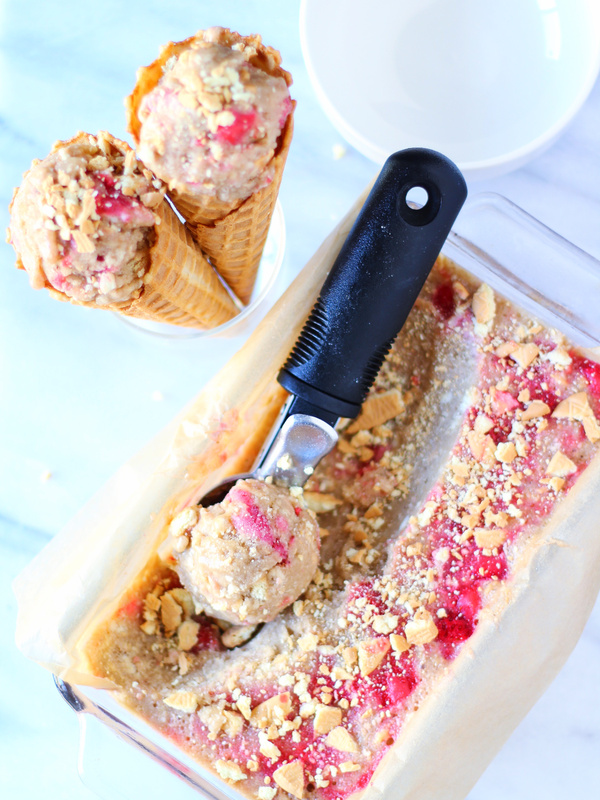 This Strawberry Shortcake Nicecream is refreshing, simple, and healthy! 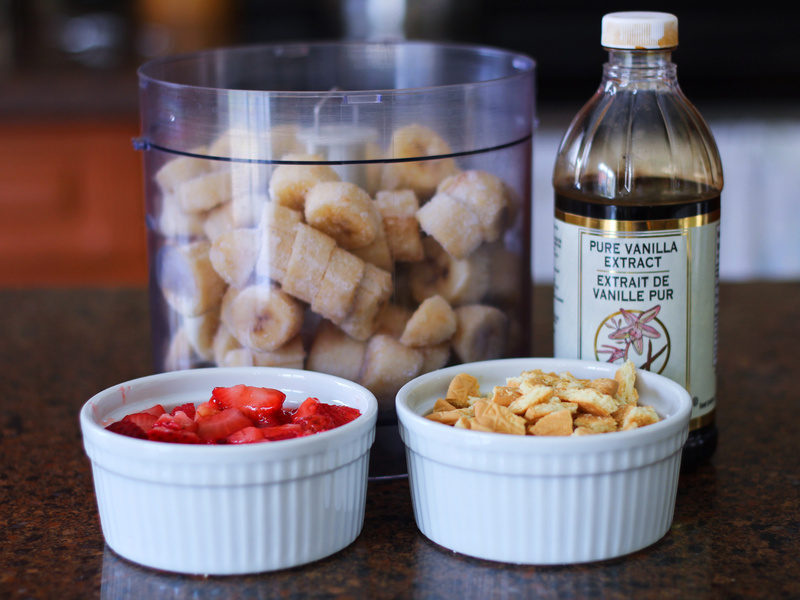 In a food processor, blend all your frozen banana’s until you get a smooth and creamy consistency. Scrape the sides down with a spatula when needed. If you don’t have a food processor, a blender works as well but you will need to move the banana’s around in the blender to help it along. Add your vanilla extract and if you are using coconut milk, scoop the solid coconut cream inside and blend until combined. Carefully fold in the thawed strawberries and crushed arrowroot biscuits. Transfer to a freezer safe container and freeze for 8 hours or overnight. Remove from freezer and let thaw for 5 minutes. Serve in an ice cream cone or a bowl. Top with more crushed biscuits and thawed strawberries. 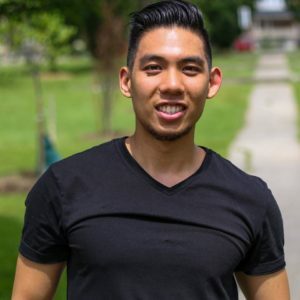 JD Raymundo (The Little Almond) After making the decision to go fully vegan, JD wanted to show people that you can, not only enjoy but thrive on a vegan diet. He created The Little Almond as a platform to share his passion and the creativity of plant-based cooking and baking, showing how fun and accessible a vegan lifestyle can be. The Little Almond is dedicated to spreading love and compassion through plant-based foods, one recipe at a time.